Braava 320 battery. 100 % Compatible with iRobot. Ni-MH 7,2V 2200mAh. Made with the best materials and under strict quality controls. It works in every Braava 320 iRobot. 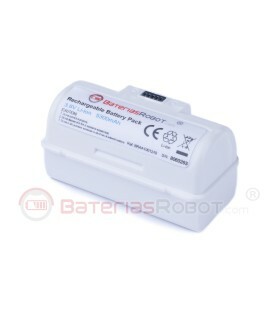 Battery Braava 380, 100% Compatible iRobot Braava 380, 380t, 390, 390t, Mint 5200, 5000, 5200, 5200C. It replaces the reference of iRobot 4409709. Nor -MH 7, 2V 2200mAh Manufactured with the finest materials under strict quality controls. Braava JET 240 battery. 100 % Compatible with iRobot. 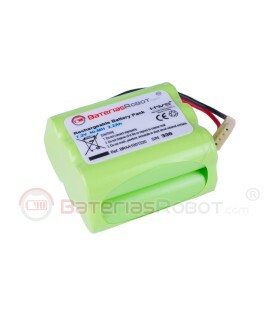 Li-ion 3,6V 5300mAh Battery equipped with UDBAT technology that provides longer life. Made with the best materials and under strict quality controls. It works in every Braava JET 240 iRobot.